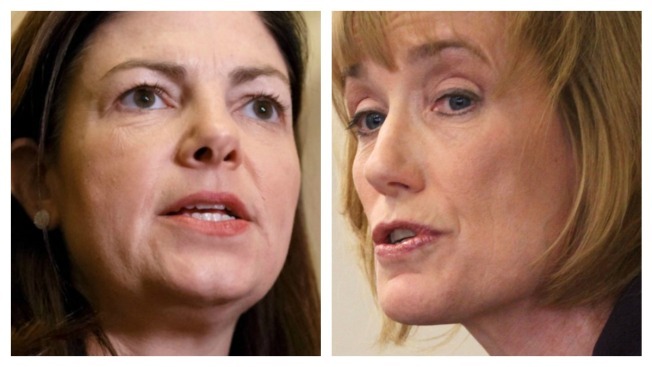 A new poll shows Governor Maggie Hassan has a slight lead over Incumbent Senator Kelly Ayotte. Ayotte’s favorability ratings have declined in recent months while Hassan’s have remained stagnant. With less than three weeks before Election Day, only half of New Hampshire potential voters have decided which candidate will receive their vote. According to the latest WMUR Granite State poll conducted by the University of New Hampshire Survey Center, only 50% of likely general election voters say they have decided who they are voting for, 15% are leaning towards one candidate, and 35% are still undecided. The study also reports 46% of voters would vote for Hassan, 38% would vote for Ayotte, 13% are undecided and 3% would vote for someone else. Although Ayotte has become increasingly popular in recent months, Governor Hassan has maintained favorability during the election cycle. 50% of New Hampshire voters say they have a favorable opinion of Hassan while only 39% view Ayotte favorably. This year’s race will likely be the most expensive election in New Hampshire history and could determine who has control of the U.S. Senate.